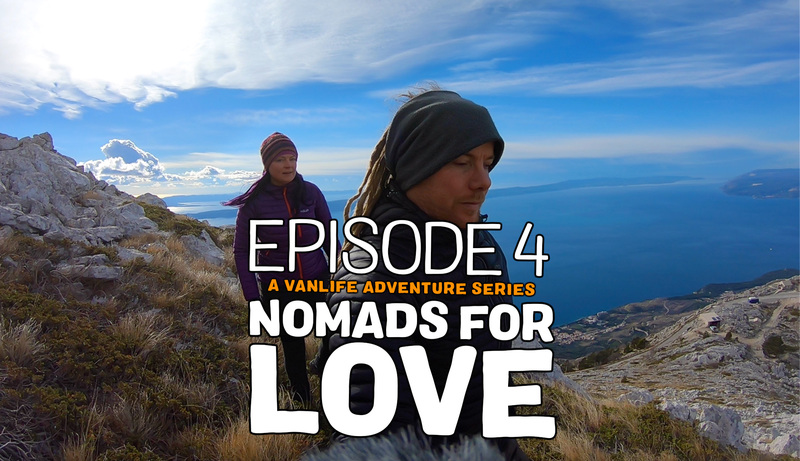 In this episode, we continue exploring the coast of Croatia. 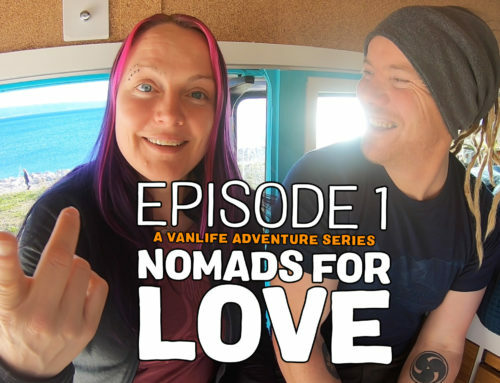 We meet a few more travelers also enjoying the quiet here in the offseason, from fellow van lifers to cyclists on extended tours. There are massive abandoned concrete buildings from the communist era all over the place, but none more puzzling than the ones we find in Split. 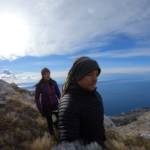 Yearning for the mountains we drive up one of the most dangerous roads in the world for a beautiful day-hike in the Biokovo mountain range. 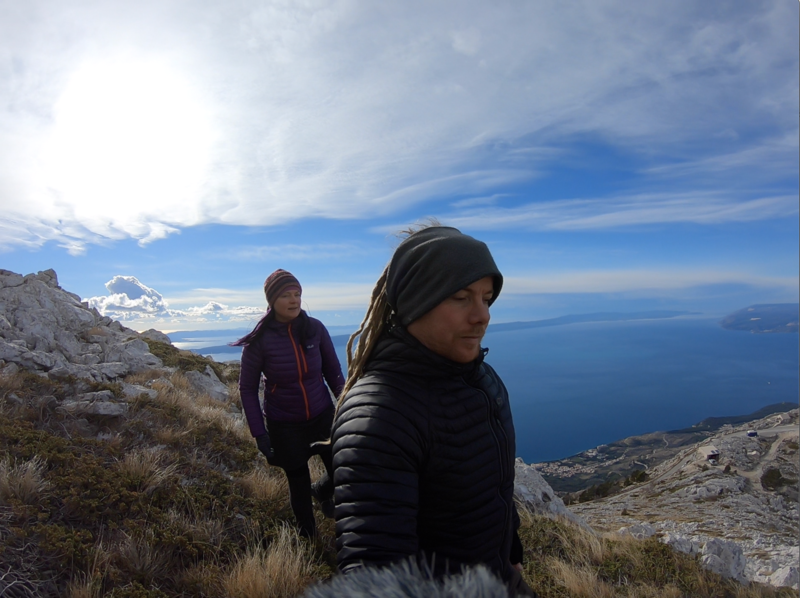 We stay for quite some time in the area surrounding the city of Split. It is the second-largest city in Croatia, beautifully located on the eastern shore of the Adriatic. It has a long and colorful history dating back as far as the 3rd or 2nd century BC and is still a bustling transport hub and popular tourist destination during summer. In great contrast to the charming ancient bricks and cobbles, some massive concrete structures left over from the communist era still stand and we explore them with great curiosity. A massive elevator shaft leading down to the beach of the public baths being the most intriguing. Hotel Zagreb, on the eastern edge of Split, is another. The huge confusing concrete complex apparently never found its feet. While one part is still an operating hotel, most is now empty and falling into disrepair. The weather is still pleasant here in the offseason and we enjoy the quiet life along the coast. Aside from one late night wakeup call by the police, who politely asked us to move on, we feel welcome here. 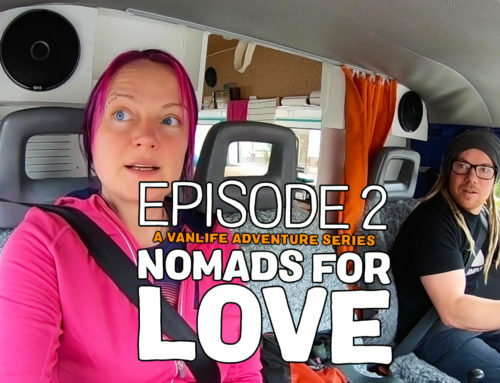 We meet another van life couple with a similar story to ours. She being for the US and he from the Czech Republic, they too are traveling and dodging the Schengen area rules. During a nice walk through the historical old town of Split, we run into Kyle Baily, an American traveler who is bike touring Europe. Check out his journey on Instagram: @nextmilekyle. Ironically we had just run into another cyclist that morning, a Japanese guy who is bike touring the world. Impressive. We finally get the chance to sort out the notoriously bad audio of the GoPro Hero 6, our primary vlogging camera.  It was quite a mission to sort this out and we really appreciate your patience. Turns out you cannot simply plug in an external microphone into a GoPro. The solution required a difficult firmware upgrade, two adapters and a considerable amount of duct tape to pull off. Our new vlogging platform is quite the Frankenstein setup, lol, but hopefully it will make our videos more enjoyable to watch from now on. Continuing south we park up on the abandoned shore just outside of Omiš for a few days. We climb up to fortress Mirabella. It is a small Romanesque fortress perched just above the town and an old pirate hideout and a strategic post for the Omiš defenders throughout time. Pretty cool little place with stunning views over the harbor and town below. Driving up one of the most dangerous roads in the world! As nice as the beaches are, we are longing for some time up the mountains. 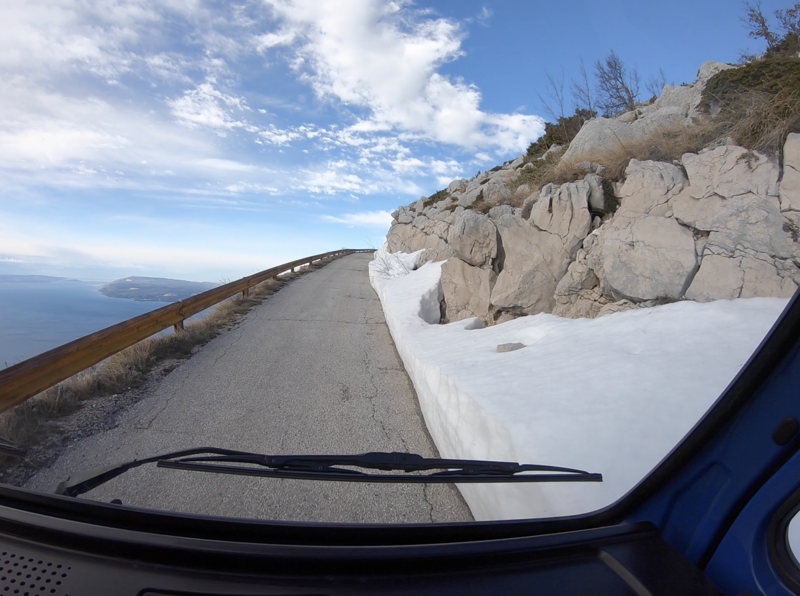 So we go on a really cool excursion up Sveti Jure, a high mountain pass in the Biokovo range. It is the highest mountain road in the country and listed as one of the most dangerous roads in the world! The narrow hairpin switchbacks around sharp blind corners without any considerable barriers is no doubt the main reason for this reputation. We have the road to ourselves however and Dory climbs the 23 km long winding drive like a champ. We almost make it to the peak of 1762 m before the icy on the road finally force us to stop our ascent. After carefully navigating our 3-tonne home back to safety, we park up and climb the stunning ridge line of the pass on foot instead. We enjoy an amazing day-hike up in the mountains. The barren and windswept landscape is quite beautiful and the 360-degree views of the mountains and seashore below do not disappoint. Well worth the drive to come up here! Finally leaving Split for Dubrovnik, we drive through the Neretva valley near Ploče. The fertile river delta is formed by the largest karst river in the Dinaric Alps and produce some of the best fruit and vegetables in Croatia. Best known are the mandarins and tangerines. The highway snakes along the coastline revealing an intriguing network of irrigation channels surrounding an impressive grid of citrus orchards. 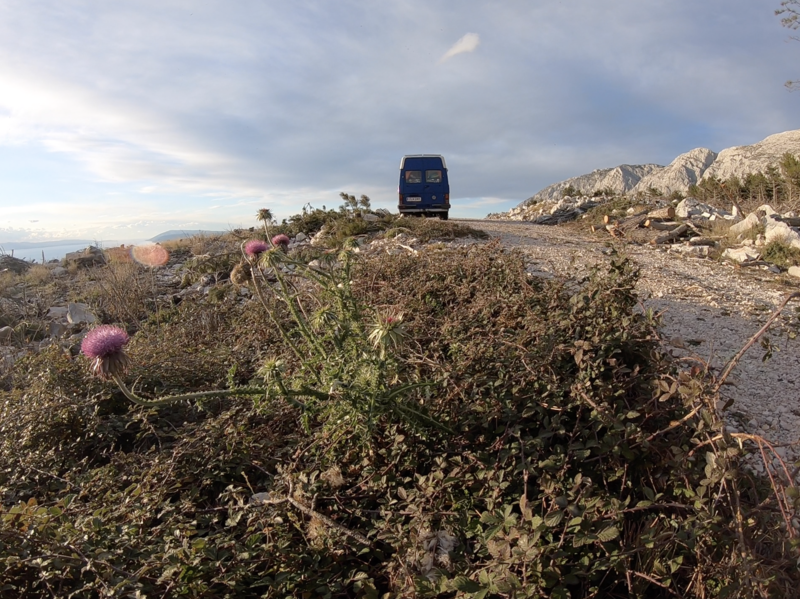 We park up on an amazing spit of land where the Neretva river empties into the sea. The river estuary is still somewhat undiscovered and the wetlands are abundant with wildlife. Having spent the past month on the coast flanked by the sea on one side and the mountains on the other, creating a rather enclosed feeling, we love the wide-open feel of this place. We love it so much we park up here for almost a week, relaxing and editing video. We meet a few more fellow travelers here, but mostly we have it to ourselves, save for the odd fisherman or two. We complete our journey down the Croatian coastline with a drive down to the southern tip in hopes of exploring the ancient city of Dubrovnik. Parking a big van in the old city proves extremely difficult. We pay an arm and a leg for parking while we stop to do some well-needed laundry, but getting anywhere close to the more scenic part of town in Dory is hopeless. We can’t even fly the drone for a quick spy mission as there is too much interference in this area. 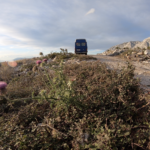 We cut our losses and head for the border to Bosnia, saving Dubrovnik for another time. 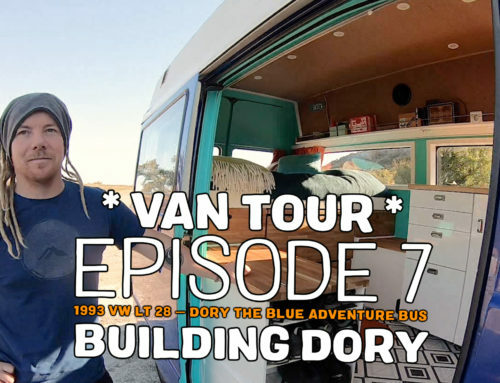 We decide to head for the Black Sea coast in search of new adventures! 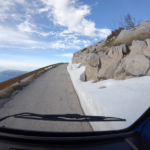 We drive through a wintery cold Bosnia and Herzegovina and Serbia to get there, racing the weather. We are trying to make it across before winter snow storms block our way. 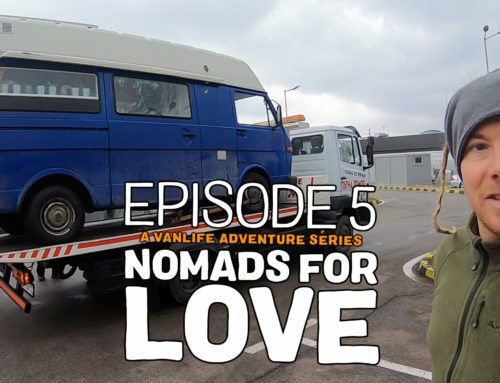 On the highway through Sofia in Bulgaria Dory suddenly loses power and start making strange noises amidst a cloud of black smoke… never a good sign with diesel engines — but more on that, and a lot more, in the next episode of nomads for love. We’ll see you then!